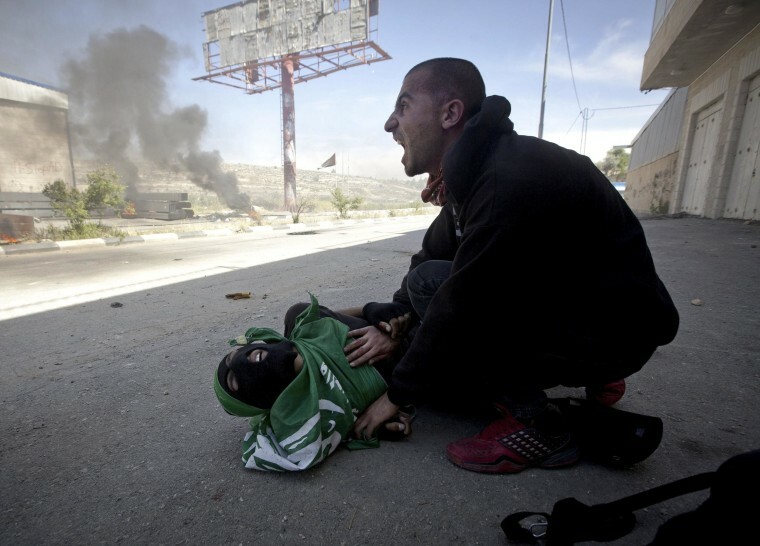 A Palestinian man shouts for help Thursday moments after teenager Mohammad Abu Daher, on the ground, was shot to death by Israeli troops near the West Bank city of Ramallah. Medical officials say Israeli troops shot dead two Palestinian teens in a West Bank clash that erupted after Palestinians marked the anniversary of their uprooting in the war over Israel's 1948 creation. Officials at Ramallah Hospital say the two, ages 15 and 17, were shot in the upper body by live fire.